HP Black Ink Cart for DJ3320/3420 (C8727AN) : Disk-O-Tape, Inc. 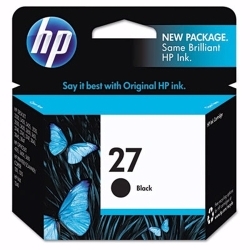 If you want to ensure that your printing is right the first time and every time, with great reliability and amazing value, then choose the HPC8727AN Black Ink Cartridge. Average page yield for this cartridge is 280 pages.